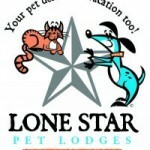 The staff at Lone Star believes that part of being a good business is being a good neighbor, and we try to do our part at every opportunity. We help homeless dogs get adopted by working with the Houston Humane Society, Sugar Land Animal Services, and Cocker Spaniel Rescue. We Participate in community events like the First Colony Community Association’s Paws in the Park Dog Walk and First United Methodist Church’s annual Fall Festival. We donate goods and services for many local charities to auction off for fundraisers. We’ve even helped local Girl Scout Troops earn badges in Animal Care. However, our latest endeavor will require your help! We’ve decided to participate in the ARC of Fort Bend County’s Best in the West Annual Fundraiser. The ARC of Fort Bend County is a non-profit organization which provides programs and services to support individuals with intellectual and related developmental disabilities and their families. This amazing organization throws an even more amazing fundraiser event each year which requires its sponsors (that’s us) to host a silent auction table. 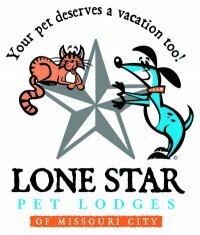 If you would like to help out this worthy cause by donating an item please contact Diana Rushing at Lone Star Pet Lodges 281-403-7700 or cell 713-315-7520. If you would like to attend the event, or would like more information about ARC of Fort Bend County, click this link to visit their website or download the Best in the West Brochure. P.S. And let us help YOU save time with our Dog Food Delivery Program! Click here for more details about the program.